Stephany grew up on a settlement just over an hour out of Mildura to a young mum, in the midst of one of the worst droughts in Australian history. She took on the opportunity to support her family during the tough economic time by cleaning her local school every night and other jobs. 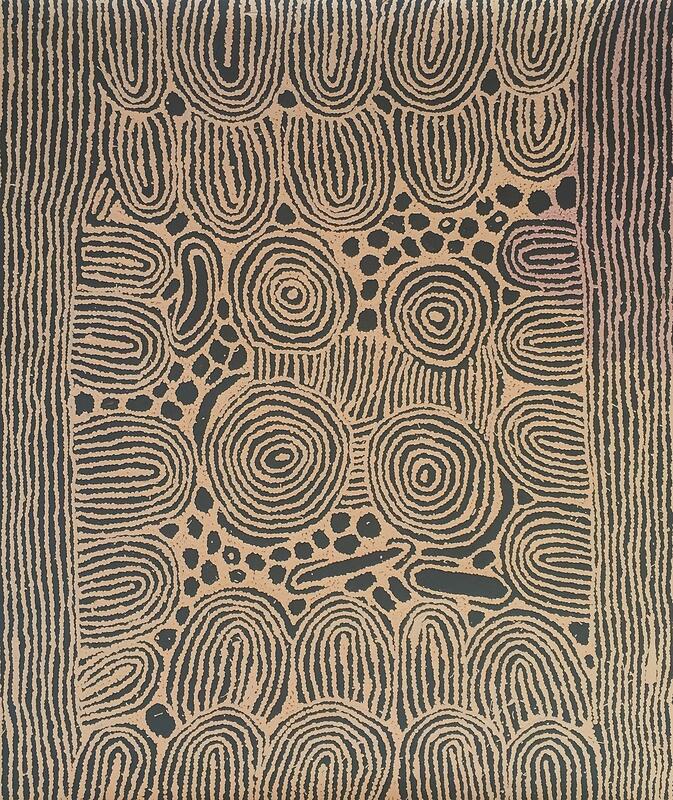 She discovered Art and exhibited pieces in Sydney, Mildura and Broken Hill. After graduating from high school she had the ambition to study law and to join the Rotary Club of Campbelltown (the youngest member of the District at the time), she went on to complete various Rotary Youth Leadership programs. She has taken on International Director of the Rotary Club of Campbelltown, coordinating International Women’s Day dinners and a $60,000 project raising funds for Fiji. She has coordinated other events for Rotary and temporarily joining the Council’s YAC. 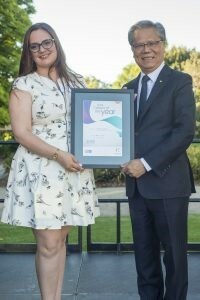 Stephany also chartered the Rotaract Club of Sturt, and has been the Chair of Rotary Youth Leadership Awards/Rotary Youth Program of Enrichment District Committee and awarded the Rotary District 9520 New Generations Best Project Award in 2017 for her successful programs. She remains involved in several Rotary committees advancing the mission of Rotary. Stephany's selfless contribution to the community has been relentless. During peak times of study her contribution to the community and Rotary has remained constant, driving initiatives for disadvantaged children. Stephany is an inspiring young leader, with years of dedicated service to the community. We have a ‘star-studded’ line up for our Trachoma Live event to be held 19-25 February 2018. We want to invite everyone in District 9520 to join this wonderful opportunity. Our own RI President, Ian Riseley, headlines our list of distinguished presenters! The purpose of the ‘EndTrachoma by 2020’ Trachoma Live event is to inform, communicate with, and enlighten as many Rotarians and friends about Trachoma in Australia. How great would it be if every Rotarian in D9520 fully understood the situation with Trachoma, and joined us on this journey to elimination! With your help, this becomes possible! Thank you from the ‘EndTrachoma by 2020’ team in advance of your support. For those 17 Clubs who lost their websites as a result of the recent failure of the server hosting Rotary News Info, please be advised that RNI has now been moved to a new web hosting server and is once again available to those Clubs. We have been advised that, as a result of this move, there now may be an annual cost involved (payable to the web hosters, not the District) to assist with the new hosting charges. Other options available to those Clubs are to investigate developing their own website and have it hosted at an Internet Service provider, or to look into the tried and proven option of ClubRunner, which is used by the District and is the preferred option of District 9520. As a fellow Rotarian I am writing to all District Governors to introduce a new project called "HONOUR OUR FALLEN" which is a not-for- profit organisation (registration pending) formed to honour and preserve the memory of those deceased military personnel, buried in Australia, who served our Nation in all conflicts and theatres since the Boer War. 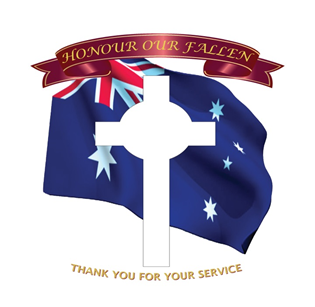 In partnership with local Schools, who will research and locate ex-Service personnel graves in local cemeteries, in any area and thereafter, on each Anzac Day beginning in 2018, place an Australian flag on each gravesite or memorial plaque. I understand you all have a long list of projects for this year, however, please consider Honour Our Fallen to be added. I have attached a Media Release , and some images of what we are aiming to be the end result every ANZAC DAY. 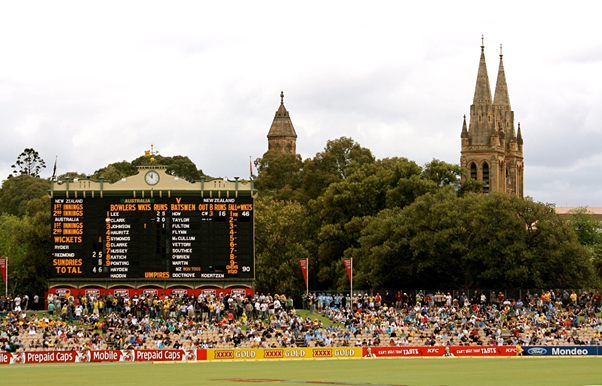 The Pavilion, Veale Gardens, South Tce, Adelaide. Sarah is the Chief Executive Officer of WDNWPT and has been helping the Indigenous Directors to run the organisation since its inception more than fifteen years ago. In 2017 she was named Hesta Australia’s Nurse of the Year. Sarah holds a Master of Nursing, a Graduate Diploma in Aboriginal Education and a Graduate Diploma in Health Service Management. 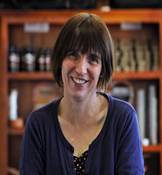 Prior to joining WDNWPT, she was as a remote area nurse and university lecturer. Sarah is passionate about Indigenous health, community development and the governance of community organisations. She enjoys sharing her work with the community and is inspired by good news stories every day. She paints, has three kids and can be seen driving her baby blue 56-year-old Morris Minor around Alice Springs! Working for a female dominated organisation, she believes in the adage "If you want something done, give the job to a busy WOMAN!" Please bring your business cards for a door prize. There will be raffle tickets available for purchase, at $5 per ticket, with excellent prizes. All profits will be donated to Purple House. Tickets are $45 per person or book a table of 10 for $450. This painting depicted will be sold by SILENT AUCTION at the “Women in Rotary” International Women’s Day Breakfast, with all proceeds going to PURPLE HOUSE. If you are attending the breakfast and would be interested in purchasing, please be sure to bring your credit card. If you are UNABLE to attend the breakfast but would be interested in purchasing, please contact Lee Camporeale on 0419 854 850 or leecam@internode.on.net to discuss her bidding on your behalf. Rotary Club of Irymple are holding an International Women's Day breakfast at SuniTAFE restaurant. We have confirmed six guest speakers. All net proceeds are going to ‘Days for Girls'. Please click here to view the brochure containing the event details. The good news is we have returned to second spot on the ladder in December among the 21 Australian districts after district 9455 (Perth and the South of WA) in first place. But our membership growth has continued to lose ground and has now dropped to only plus 15 for the year. We clearly had another large number of resignations in December which has offset the achievements of those clubs that have grown significantly in the first six months. The clubs to be congratulated this month are: Broken Hill with 33% increase for the first six months, tops the list, Goolwa and Yankalilla with 22% increase, Seaford with 17% closely followed by Mildura, Renmark and Unley with 14%. More importantly 17 clubs have lost more members than they have gained this year. That means that a third of our clubs are struggling. These are danger signs and these clubs are encouraged, once again, to approach the Membership committee for help. Let’s start 2018 with a New Year Resolution for all Rotarians. I will grow our club from now by at least one member by 30 June. I can assure you if you keep your resolution it will be worth it! Your club will be more vibrant, will achieve more and will be more fun to be involved. As most Rotarians in D9520 and D9500 already know, Calperum Station has become Rotary’s greatest environmental project in Australia. To celebrate our achievements to date, and to appreciate that our best work at Calperum is still into the future, the CALPERUM & THE ENVIRONMENT Committee (CATE) are conducting a Photographic Competition to become part of our Calperum Display at the forthcoming Joint District Conference. Subjects can be anything you choose, but must have been taken at Calperum Station. For example, they may be wildlife, vegetation, water or even Rotarians having fun. Entries are now open, and will close on Monday 12 March 2018. My name is Peter Pearce, Rotarian, ShelterBox Ambassador & Response Team Member. 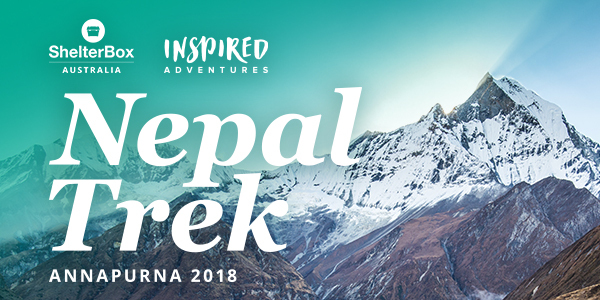 After 20 deployments as a ShelterBox Response Team member in various locations around the world, I am more than excited to inform you that I will be joining the ShelterBox Nepal Trek with the team departing in September 2018. In 2015 I was deployed to Nepal after the devastating earthquake, therefore,I know firsthand of the hardships this type of disaster causes its people. ShelterBox responded with enough aid to provide shelter for more than 67,000 people. Your fundraising efforts to provide ShelterBoxes & ShelterKits will transform lives & rebuild communities that have been affected by disaster & humanitarian crisis. See the real Fiji, have the experience of a lifetime and help change lives. 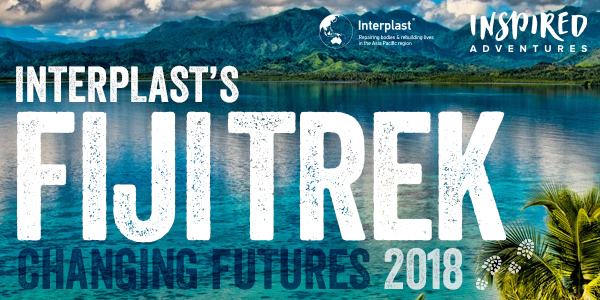 Interplast is offering you the opportunity to join their 2018 Fiji Trek and go beyond the tourist beaches into the heart of this Pacific island nation. Explore tropical jungles, see spectacular mountain views and learn about Fijian culture firsthand as you stay in traditional communities. Learn more about Interplast's work on a visit to Suva Hospital. Raise funds to help Interplast change futures for people in developing countries across the Asia Pacific. We are only limited by funding. Help us to continue to repair bodies and rebuild lives by joining the trek and inviting others to join too. Every dollar raised through this week-long trek will make a huge difference and you'll have memories that last forever. Age is no barrier and only a reasonable level of fitness is required. For more information, please click on the image above. Based upon the success of the last D9520 trip to the Maldives, and the special relationship between our District and introducing Rotary to the Maldives, another Rotary trip is planned in around August 2018 (likely in second half but exact dates TBC) to coincide with the induction of Ahmed Ranesh (the first Maldivian Rotarian in 2011) as the President of the Male Club. The itinerary of around eleven day will include some time in Male, the bustling capital, a few days relaxing aboard a safari boat exploring the stunning islands and Rotary's work, and then a few days of relaxing on a tropical island. Hard work we know, but someone has to do it !!! The ideal tour group will be around 20 participants, and early registration is encouraged by those interested. 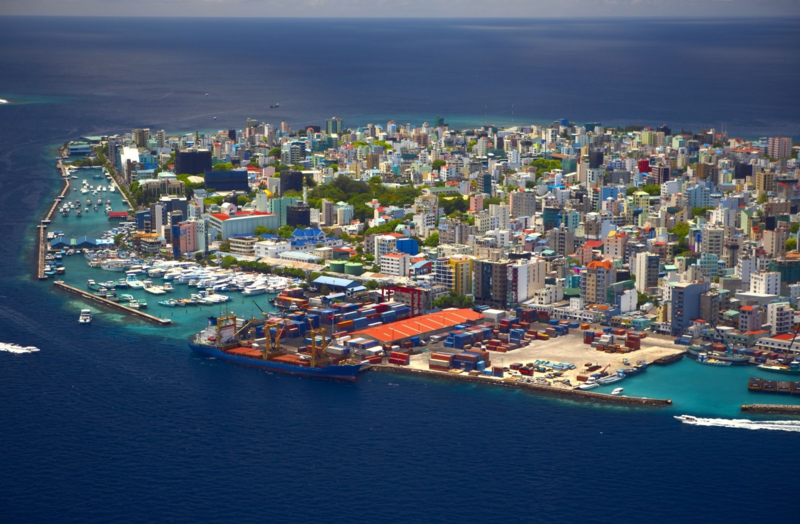 Travel arrangement to and from Maldives is flexible, and as the Maldives are about half way from Australia to Europe, this visit could be incorporated into a trip elsewhere. 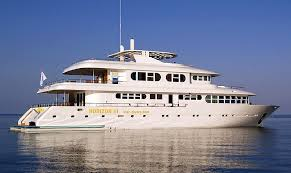 A budget for the component of the tour within the Maldives (eleven days) would be around $1800/$2,000 per person including accommodation, and most meals. If interested please contact Don Will on dwill@wilkingroup.com.au, or ring 0414 645 402 on or before 16th so that the level of interest can be established. This article is a followup to the October article that invites your Rotary Club to sponsor a delegate to attend the annual Rotary Adventure in Citizenship (RAIC) program in Canberra in May 2018. RAIC is a not-for-profit program run by the Rotary Clubs of Canberra and Woden, in partnership with the Parliamentary Education Office (PEO) for about 35 year 11 students. Its aim is to give attendees (or delegates as we call the Year 11 students who attend) an in-depth understanding of Australia’s Parliamentary democracy and what it means to be an Australian citizen. Please Click Here to download and view the official Letter to Club Presidents. Please Click Here to download and view the official Brochure. Please Click Here to download and view the official Photo and Video Permission Form. Please Click Here to download and view the official Application Form. The Rotary Club of Kent Town presents ‘Molly’s Game’ a movie night fundraiser on 10th February 2018 at the Capri Theatre, 141 Goodwood Road, Goodwood. ‘Molly's Game’ is the true story of Molly Bloom, an Olympic-class skier who ran the world’s most exclusive high-stakes poker game and became an FBI target. Doors open at 5:45pm for a 6:30pm screening. All monies raised are in support of the Club’s international project, funding a pilot program for maternal health clinics in Cambodia. Please contact our Club Secretary, Will Owen on 0421 356 161 or secretaryrckt@gmail.com for further information. Coming to the conference? You will need to be quick to register if you haven’t already done so! Please note that awards numbered 2, 3, 4, 10, 11, 12, 14 and 15 will be based on written submissions forwarded to the District Governor / Secretary at least four weeks prior to the District Conference. All projects are to be commenced or completed in the two years prior to the District Conference at which they are entered for competition and for which they have not previously won that award. Written submissions may be supported by a visual presentation displayed at the Conference. The quality of the visual presentation will be taken into account when making these awards. These displays will also automatically be entered for the Stan Fereday Award – Best Displayed Club Project (No. 5). Our former District Membership Chair Mark Huddleston has just written his first book. “Creatures of Habit” is being launched at the District Conference in March. RRP is $24.90. It can then be either picked up from the conference or Mark personally, or pay $8.95 to be posted to you. Please visit www.sfzpublishing.net to place your order. 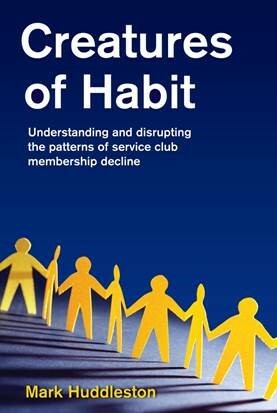 "In Creatures of Habit I explain how yesterday's actions brought about today's membership predicament, and why today's response is so important for Rotary's future. I'll also discuss how to overcome the recruitment barriers we put in place, and will point out the biggest and most counterproductive mistake clubs make when facing membership decline. Make no mistake: new members are out there just waiting to join the right version of Rotary. Creatures of Habit shares every membership tip I've picked up along the way, and explains how we can deliver the right message to the right audience and plot a path to recovery". Last year, the District RYLA/RYPEN Committee launched a website specifically for the RYPEN program at http://www.rypen9520.org.au. This website had provided all of the information clubs have been asking for, and includes a Frequently Asked Questions section, along with the “For clubs” section. It has had over 5,000 views over the past year, and contributed to our most successful RYPEN program. As we receive questions from clubs we will be updating it so that all clubs can have the most up to date information. It is adaptable to PC, Mac and all mobile devices. So check it out, and let us know what you think. Another component which we introduced, was that we could accept online applications. While we continue to recognise that many clubs circulate hard copy forms (which are also available on the website), this provides the opportunity for your club to promote the program to a young person (between the ages of 14-17) and for them to apply ON THE SPOT. One challenge that many clubs face is finding their own applicant. RYPEN is an opportunity to develop young people in our communities in many areas. It also provides a source of new young people in to our club… a gateway to Rotary experiences. I am pleased to inform the District that the Rotary International Board has formally approved Rotary Districts 9500 and 9520 merging to become District 9510, effective 1 July 2020. Please see attached Rotary International approval document. The Steering Committee have started working together to bring the two Rotary Districts together. The members selected for the Steering committee are PDG Euan Miller, PDG Peter Ochota, PDG Bruce Richardson, PDG Malcolm Lindquist, PDG Barbara Wheatcroft, PP Sandy Sumsion, PP Robert Eley and PP D’Arcy Walsh and Asst. Rotary Coordinator Zone 8 (part of) Doug Layng as an ex officio member of the committee. LARGER ROTARY DISTRICTS – AN EXCITING PLATFORM FOR CHANGE! The accompanying article from RI Director Noel Trevaskis has been sent to all District Governors throughout Australia and New Zealand with the request to share it with you, as a step towards Rotary flourishing into the next 100 years. The article mentions the imminent plans to bring our two districts together into a one new district and also talks about the wider challenges facing us as we ensure our relevance and attractiveness into the future. Much work has been done over recent months by the ‘G Trains’ of both Districts (Immediate Past DGs, current DGs, DGEs and DGNs) who have been working hard to be ready for the changes we face. Our motivation has been to be prepared as we support and strengthen clubs so that Rotary is stronger in our region. We are pleased the article recognises the central importance of clubs and we want to assure you that in embracing change at District level we are doing so in the essence that the District’s role is to provide support and guidance to Clubs. The New District Steering committee which is made up of a good cross section of experienced Rotarians at different levels of service, will guide the final structure and establishment of the new district. In the mean-time we assure you that we along with incoming DGEs Kim Harvey and David Egan and incoming DGNs Jane Owens and Tim Klar are all working together to support our clubs to flourish in the years ahead. Please Click Here for the article from RI Director Noel Trevaskis. Rotary is a well-known and highly respected international service organisation. To further strengthen and improve Rotary’s effectiveness, it was recently decided to merge Districts 9500 and 9520 in 2020. The new District will include over 2,000 Rotarians in 94 Clubs, covering the majority of South Australia and parts of the Northern Territory, New South Wales and Victoria. As a result, an exciting opportunity now exists for a suitably qualified and enthusiastic Rotarian from either District 9500 or 9520 to take on the position of District Governor and lead the new District into a challenging and rewarding era in Rotary’s proud history. Please Click Here for the full advertisement. Like to meet Rotarians from other clubs and learn more about Rotary? Then Rotary Leadership Institute is for you. We still have places available in all courses – get started now and register (see below for details) for this exciting Rotary experience. The Rotary Leadership Institute (RLI) is a series of fast paced, interactive, (one weekend) courses offered to refine a Rotarian’s leadership skills and increase their base knowledge of Rotary. Courses are fun, topical, interactive and geared to busy business people and professionals who would like to be more dynamic as leaders and members of their vocation and club. The training provides a better understanding of Rotary and its programmes, thus developing more effective Rotarians. The Rotary Leadership Institute was formed in 1992 and it has been adopted by 192 Rotary Districts in 94 countries around the world. Participants are expected to contribute their experience and ideas in facilitated discussion groups (not more than 15 participants) and the aim is to acquire leadership skills and grow Rotary knowledge. A deeper understanding of the unique nature of each Rotary club is fostered and participants are encouraged to learn from these differences. The style of the courses is conversational and learning comes by sharing knowledge, ideas and opinions. The Institute offers courses in two full day sessions (9:00am to 5:00pm) and participants must complete day 1 before proceeding to day 2. Rotary Clubs are asked to select at least two candidates for RLI annually and encouraged to send as many members as show interest in attending. Graduates return to their club with enthusiasm, new contacts, fresh ideas, an increased understanding of their potential as Rotarians, adding valuable skills that will impact on the club. 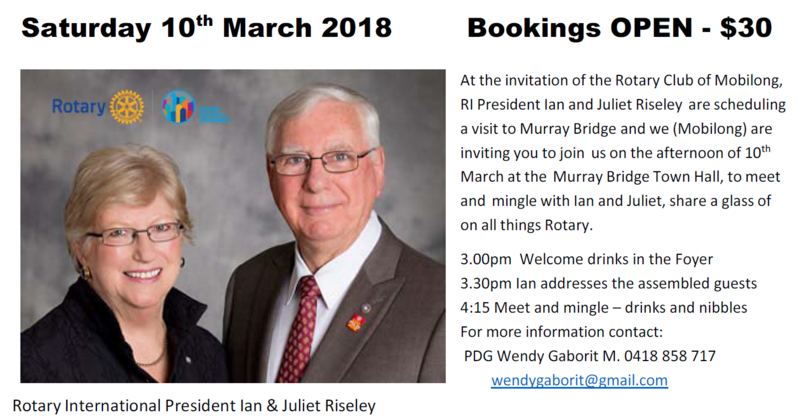 The Rotary Club of Edwardstown plans to celebrate 60 years of service to its community on Sunday, 18th March 2018 at 12:00 for 12:30 at the Glenelg Golf Club. Please support the club in celebrating this milestone and hear guest speaker Sarah Brown, Purple House. Voice of Rotary is a 30 min radio program that goes to air on Vision Australia Radio - 1197am and VA radio Digital at 7.30 pm each Tuesday evening. The program is a combined activity of both districts and its aim is to showcase Rotary projects, Clubs and Members. The program is recorded each Tuesday morning at the V A Studios Hilton Central, Sir Donald Bradman Drive; session 1 at 8.45am and session 2 at 9.30am. The program is in dire need of some guest presenters, so if you have a desire for a radio career, or are just interested in learning the mechanics of presenting and interviewing on radio then give Public Image and VoR Coordinator Wendy Gaborit a call. This year's District Conference is a combined Conference between Districts 9500 and 9520. DGs Peter Schaefer (9500) and Bob Cooper (9520) invite you to enjoy a visit to the Barossa Valley from 23rd to 25th March 2018 for a conference with a difference, “Making a difference”. To view the official District Conference Publication, please Click here . Please consider publishing this in your own club Bulletins and Newsletters. The combined Rotary Conference to be held in the Barossa Arts and Convention Centre in 2018 will feature a Rotary Showcase where Clubs, District and Rotary affiliated programs can display and issue materials to publicise their activities. Organisations are invited to apply for the allocation of Display Spaces at the Conference. The Conference commences at 1:00pm on Friday 23rd March with Registration open from 9.30am. The conference concludes at 1:00pm on Sunday 25th March. Because this is a combined Conference highlighting Coming Together it is likely that there will be a heavy demand for available spaces. Convenors and key personnel are urged to contact Les to reserve a spot in the display area asap. For those activities which are duplicated in D9500 and D9520 the convenors and Chairs are requested to have a joint display area. Eg RYLA, ROMAC Shelterbox. To reserve your spot and obtain further details, please contact Les now. The next Rotary International Convention is to be held in Toronto between 23rd and 27th June 2018. For information on tour packages, please see the next article. Rotary Down Under are running tours in Canada in June next year and are timed to run right before the Rotary International Convention in Toronto. You may choose to go on a tour irrespective of whether you are heading to the Rotary International Convention afterwards. The tours take in some Rotary meetings as organised by Rotary Down Under so they are a great opportunity to meet Canadian Rotarians. Unfortunately, the information evening scheduled for Friday, 17th November was cancelled "due to lack of interest". If you are still interested, please Click Here for the latest information brochure. Please forward all articles for inclusion to the "The Herald Editors"